Any pool that can hold 24 inches of water or more requires a building permit in Dallastown Borough. Temporary pools (as shown in the picture), tend to be collapsed and put away every year at the end of summer. These pools will require an additional permit every year when the pool is set up again. Please contact the Borough office for additional details and permit requirements for your pool. Among children under 5 years of age, the average drowning deaths in pools and spas has risen from 267 per year during 2002-2004 to 283 per years for 2003-2005. A significant majority of deaths and injuries occur in private homes and usually involve one- to two-year-old children. Drowning is a leading cause of accidental death among U.S. children ages 1 to 4. Among preschoolers who drowned, 7 of 10 children were under the care of at least one parent at the time, and 5 of 10 were out of sight for less than five minutes. For every child who drowns, four others need hospitalization for near-drowning. Some of these hospitalized children suffer serious injuries like permanent brain damage or physical disabilities. The most likely victims of drowning in swimming pools are young children ages 1 to 4. Two-thirds of all drowning accidents occur between May and September, and at least 40 percent happen on weekends. Safety experts warn parents that it is easy for children to fall into inflatable pools because the sides are pliable. The covers on the pools are intended to keep debris out of the pool but are not strong enough to carry a person’s weight. 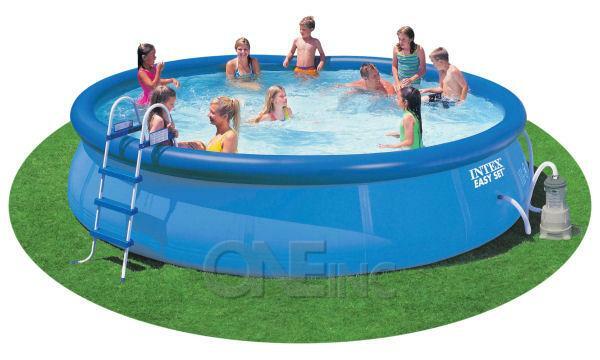 There have been incidents where children playing on an inflatable pool’s cover got entangled and drowned. * Comply with local codes when installing inflatable pools. Even in the absence of local regulation, consumers should put in safety measures (fencing, covers, and alarms) anyway. * Supervise your children. While safety measures are important, the best defense against young children drowning is still parental supervision. All pools (temporary or permanent) capable of holding 24 inches of water or more, must meet the building code regulations of Dallastown Borough. Please fill out a building permit application prior to setting-up your pool. Notice: Trees overhanging streets should be trimmed up about 15 feet and trees overhanging sidewalks should be trimmed up about 6 feet. Bushes and shrubs growing out into the streets and sidewalks should be trimmed away from the right-of-way. Notice: Leaf pick-up will be Monday, Tuesday and Wednesday in the months of October, November and December. Rake leaves to your curb and not over storm-drains. No branches or other debris will be collected. Notice: The sidewalks adjacent to your property are yours to maintain. Grass and weeds are to be removed from curbing and sidewalks, around utility poles and traffic signs. Help Dallastown Borough keep its small-town charm by removing the weeds from your sidewalks. Kindly refrain from discharging grass clippings into the streets or on the sidewalks. Grass and other vegetation shall be maintained to a height of no more than 8 inches on your property. Poison Ivy and other nuisance "weeds" shall be removed as well. All rental units must be registered and inspected by the Borough. All vehicles parked outside of an enclosed structure (garage) shall be current with both inspection and registration, shall not have flat tires or be dismantled and must be operable.